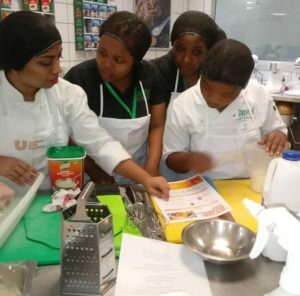 As one of the leading catering companies in the Education sector we continuously strive to create a home away from home experience, by providing nutritious, balanced and tasty food. Our creative flair with functions allows our clients to create a comforting impression on parents that they have made the best choice in terms of an educational institution for their child. At Capitol we understand that nutrition is a vital part of patient care. Patient satisfaction is imperative to us, and we achieve this by providing nutritionally balanced meals, overseen by our dedicated Dietician. The focus is always on therapeutic diets, infection control and excellent customer service. Capitol provides cost effective catering solutions within the corporate and industrial sector. The focus being on the client's employee wellness and convenience by providing delicious, sustainable meals within time and financial constraints. Reaching the retirement phase of our lives there are 3 themes that come to mind: wellbeing, relaxation and enjoyment. The residents become part of our family and look forward to the correct diets, fantastic functions and excellent service from compassionate Capitol staff. Our Dietetics Department strives to offer nutritional support and contributes to the wellness needs of the organization and clients through various mediums. The Dietetic Department is involved in analysing menus and reviewing menus in order to offer nutrition advice. We understand that the nutritional needs of each population group vary, and therefore offer menu advice accordingly. This advice is based on the latest scientific information. At times, menu advice is not enough to motivate for changes to be implemented, this is where nutrition education/awareness materials play a part. Nutrition education and awareness materials can often lead to a change in our client’s perceptions on healthy eating. Because of the importance of education, we offer various nutrition related talks to our clients. Staff training is a key aspect at Capitol Caterers and the Dietetics Department forms part of our training team. Training areas which the dieticians focus on include; special diet training (e.g. diabetic diet training), texture modified diet training (e.g. puree diet training) and allergy training. 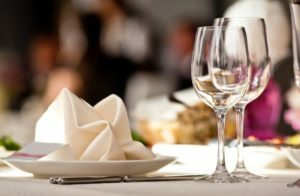 Our Dietitians are industry specialists and have extensive experience in all the various aspects of Capitol Caterers’ business requirements whilst bringing a personal touch to each contract’s needs. 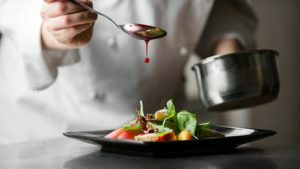 Capitol Caterers brings a unique set of skills to the industry in that our Managing Directors are industry specialists in Operations as well as being an award winning executive chef. With this combined knowledge and expertise we feel that we are able to offer our clients and prospective partners an opportunity for the best solution to their catering and kitchen design needs. Kitchen Design and Canteens: We share our industry knowledge and give input on design, layout and furnishing of Industrial and commercial Canteens, Restaurants and Kitchens. 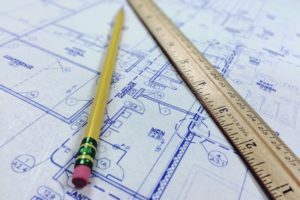 Catering Equipment and Planning: Finding the correct equipment at the best price can prove challenging. We partner with our prospective clients to offer our input on the best equipment, prices and budget planning to enable our clients to successfully start operations. Facilities Management: Having partnered with Hostels, Mines, Hospitals and Lifestyle Sectors, we believe that we are able to offer a valuable service in Facilities Management. We believe that adhering to budgets and the client’s wishes are unique requirements that we have been able to master through years of practice in the various industries. Delivering a quality service and great food at the right price is our moto. We strive to make you feel part of our family whilst maintaining a professional service through our quality management systems. Have you ever tasted the juiciest Beef Wellington or perfectly baked Cheesecake and wondered how to recreate the dish at home? If you’ve tried being a Masterchef at home and still feel like you are falling short, you may want to get some tips from an expert. We offer Interactive cooking demos for every need or event. From housewives parties to learning the basics. Our award winning Chefs are available to offer the best culinary tips and tricks as well as perfectly tried and tested recipes to make every function and event you attempt a success. We also offer corporate interactive demos for team building events and corporate hosting events. Contracts strictly adhere to QMS (Quality Management Systems) together with a personal tailor-made quality control system, named CHESS (Capitol Health, Environment & Safety Standards). The dedicated Occupational Health and Safety Officer ensures that the company complies with the Occupational Health and Safety Act including Food Hygiene standards using our CHESS Manual. The OHS officer provides information and policies to ensure all employees are provided with a safe workplace that is not a risk to their health. The OHS officer will conduct internal audits and ensures training on food safety, hygiene and industrial kitchen standards. This is fundamental to ensuring our clients receive well-prepared food daily within a safe working environment. Capitol Caterers is responsible for promoting, protecting and enhancing the health of our clients. This is done through numerous strategies including; menu analysis and reports, menu design and reviews, education on special diets and allergies. The dietician will also design educational material and when required, give talks on the importance of healthy nutrition and balanced lifestyle practices.